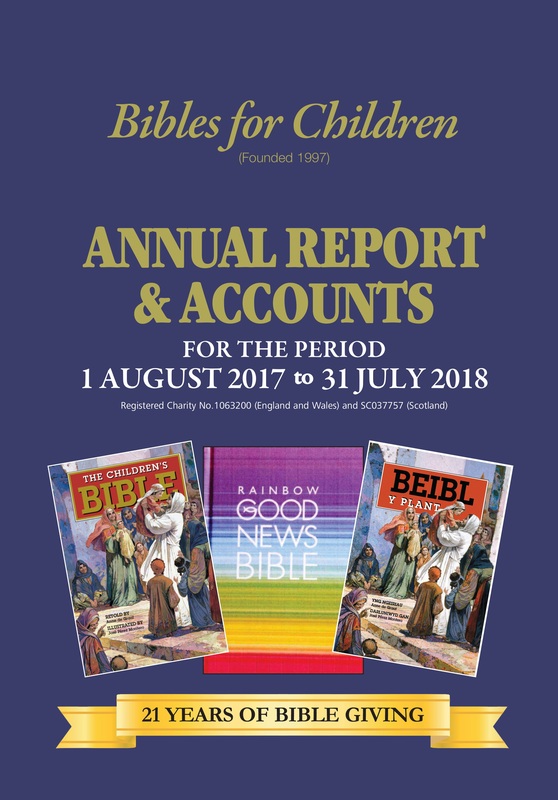 Bibles For Children | Registered Charity Numbers. . . 1063200 (England and Wales) and SC037757 (Scotland). Registered Charity Numbers. . . 1063200 (England and Wales) and SC037757 (Scotland). 50 pence per pupil is needed from schools or supportive organisations such as local churches, but there are no carriage or other charges involved. Of the three Bibles given, The Children’s Bible is the one most requested. It has some 300 stories from the Bible, re-told in simple sentences and printed in large type with lively, colourful illustrations on every page. 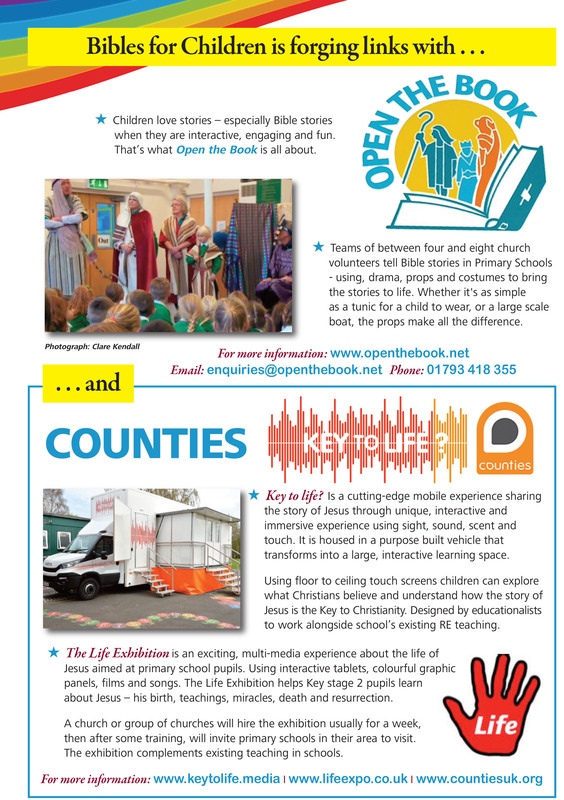 It is an ideal introduction to the Bible for young children and is usually given to pupils in Years 2, 3, 4 and 5. There is a Welsh edition, Beibl Y Plant, and over 10,000 Welsh speaking children have received this edition. 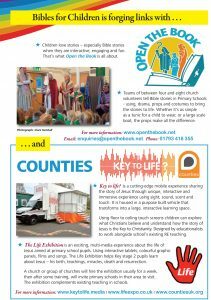 The Rainbow Good News Bible is suitable for Year 6 pupils, (Years P6 & P7 in Scotland and N.Ireland,) and is widely used with young people. Highly approved by all denominations, it is the complete Bible in simple everyday language, with an introduction to each book of the Bible along with colour illustrations, maps, charts and hundreds of line drawings by Anne Vallaton. 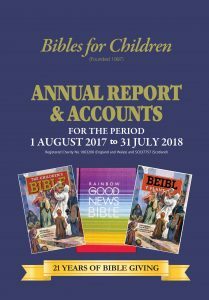 Bibles for Children works closely with Headteachers and endeavours to respond positively to requests for a gift of Bibles for pupils in their schools. Find out more by using the links at the top of this page. Anyone wishing to receive more information and an Application Form for a gift of Bibles should get in touch with Ted Hudson B.E.M. via the methods shown below.